Allergens such as dust and pollen enter our house every time we open the door or window. We might not be able to see them, but they are certainly there, and once they have drifted into our homes, they float around and settle down, making themselves at home on our floors. If your floor is carpeted, these microscopic organisms can harbour in the fibres and remain there, unseen but present. 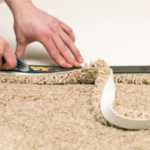 This can pose quite an inconvenience and potential health risk to those allergy or asthma sufferers, as every footstep on the carpet once they have landed will lift the allergens, releasing them back into the air, causing irritation and discomfort for those sufferers. One way to tackle this is to consider hard flooring throughout your house. This way there is nothing for the dust to attach itself to, so it will just collect on the surface instead. The only downside to this is that, dependent on colour, you will most likely be able to see the accumulation of pet hair, dust etc. However, this could be considered a good thing as it will remind you that it’s time to get cleaning! With various hard flooring options now available, such as; vinyl, tiles, lino and wood, you don’t have to worry about finding one that will complement your room and surrounding décor. The belief that carpeted surfaces trap pollen, dust mites and other allergens has been acknowledged in the carpet industry, however this does not mean that you have to completely rule out carpeting your home, you simply just need to get it right. 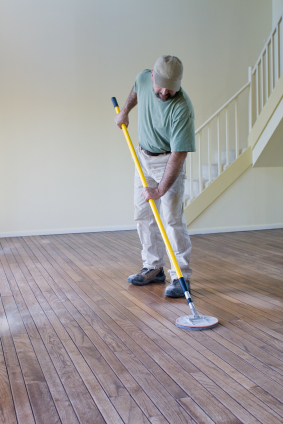 It is highly recommended that you do not carpet any moist environments, such as the bathroom or kitchen, as these rooms would breed allergens and damage your carpet, so stick to vinyl, tiles, lino or wood floor to avoid any costly damage. Similarly, if the carpet gets wet for instance, if you incur flooding, it is vital that you replace the carpet to avoid the growth of mould, which, if it appears, could spread and take over. You should also avoid long strand carpets such as shag carpets or rugs, and stick to tightly woven carpets as this provides fewer places for the allergens to attach themselves to, and are easier to maintain. 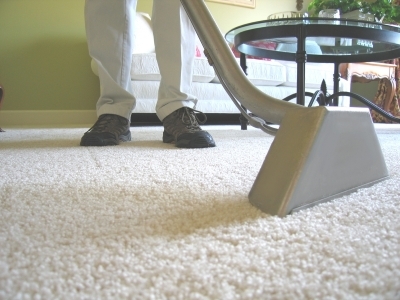 When choosing which type of carpet to go for, polyester and nylon materials are best as they are synthetic and constructed from fibres that repel allergens, but generally speaking, if you incorporate vacuuming as a regular part of your cleaning schedule, including steam vacuuming every few months, your carpet should remain in a good condition and the allergens should remain at bay. 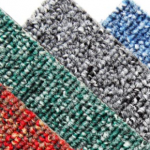 If you’re in search for stylish yet practical flooring or carpets, then Brent Carpets are the people to get in touch with. 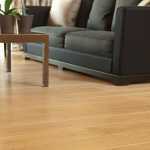 Our comprehensive range of flooring includes designer vinyl flooring, ideal for kitchens and bathrooms. For a free consultation or for more information, simply get in touch with our friendly and expert team today.